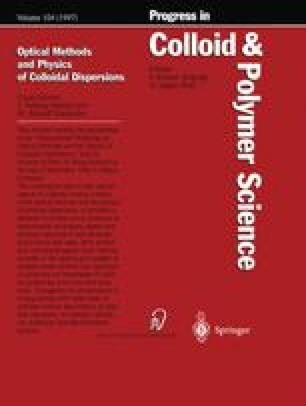 A turbidimetric analysis of the depletion interaction in mixtures of latexes and non-adsorbing polymers is presented. It is demonstrated that turbidimetry explores the small-angle part of the structure factor S(q) (q=(4π/λ)sin(θ/2),θ is the scattering angle, and λ the wavelength of the radiation in the medium) and allows to extrapolate to S(0) in very good accuracy. Turbidimetry is insensitive towards multiple scattering and the analysis can therefore be extended to high latex concentrations. The measured turbidity τ is fully determined by the scattering intensity of the latex spheres, whereas the dissolved polymer does not contribute appreciably to τ. Therefore, S(0) thus obtained can be used to assess the attractive depletion forces between the latex particles in these mixtures. It is shown that the volume-exclusion potential as modified by Lekkerkerker et al. allows to account quantitatively for the dependence of S(0) on latex concentration as well as on polymer concentration.